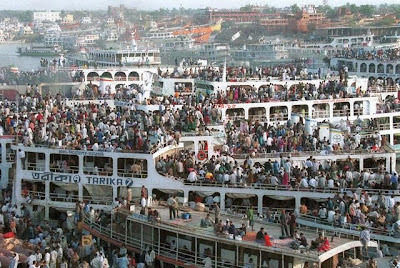 Foreign adviser Iftekhar Ahmed Chowdhury on Thursday said that human trafficking had become an alarming migration issue, with the perpetrators easily luring jobless people into being bought and sold. "In a country where unemployment is pervasive and opportunities are limited, illegal human traffickers do not have to try too hard to mislead the millions of job seekers," the foreign adviser said. "But we must make trafficking immensely costly for traffickers." Inaugurating a workshop on Migration and Human Trafficking, at Hotel Sonargaon, Iftekhar urged public servants to expand legal migration opportunities to prevent illegal migration and trafficking of people. "Although human trafficking is a relatively new issue of migration, it is becoming more and more a concern for both the government and non-government organisations working in the field," he said, at the workshop organised jointly by the Foreign Service Academy and the International Organisation for Migration (IOM), Dhaka. Executive editor of the Daily Sangbad, Manzurul Ahasan Bulbul, also speaking at the workshop stressed effective government-media collaboration to combat illegal migration and human trafficking. Human rights lawyer barrister Sara Hossain expressed the need to consider using international migrant rights and human rights instruments to protect the rights of migrant workers.